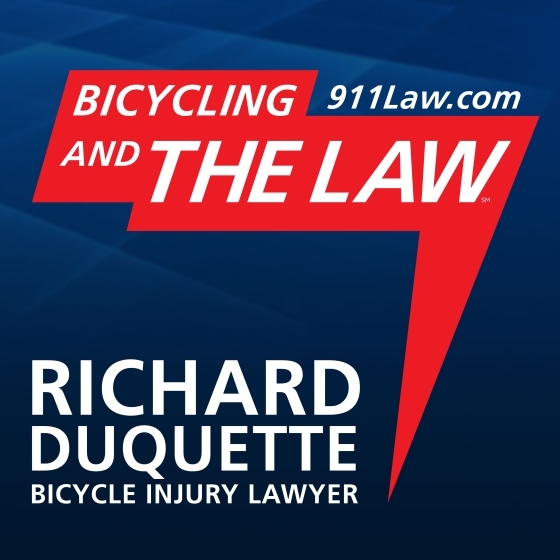 Bicycling and the Law – 911law.com was produced to educate and exchange bicycle law related content. The primary focus is California bicycle law, but general legal principals will also be discussed. Disclaimer: The information on this podcast is for general information purposes only. Nothing in this podcast should be taken as legal advice for any individual case or situation. This information is not intended to create, and receipt or listening does not constitute, an attorney-client relationship. All show content and show notes © 2016 All Rights Reserved.